Why it matters: Samsung is bringing its Exynos chips from smartphones to automobiles with the introduction of Exynos Auto. The new chip promises big performance to power multiple screens, cameras, and biometric recognition. One of Samsung's more well-known businesses is in chip design. Most notably, Samsung generally ships its non-U.S. Galaxy line of smartphones with the Exynos chip rather than Qualcomm's Snapdragon chips. Today, Samsung is announcing the Exynos Auto V9, an SoC focused on automobiles with Audi being an early adopter starting in 2021. "Exynos Auto V9 is a powerful automotive processor designed for advanced IVI systems that display content on multiple displays, providing information that assists drivers and passengers for a safer and more enjoyable in-vehicle experience. Based on cutting-edge 8-nanometer (nm) process technology, the V9 packs ARM’s latest Cortex-A76 CPU cores, ARM Mali G76 GPU, premium HiFi 4 audio digital signal processor (DSP), intelligent neural processing unit (NPU), and a safety island core that supports Automotive Safety Integrity Level (ASIL)-B standards. The processor also supports fast and power-efficient LPDDR4 and LPDDR5 DRAM." What all of that tech jargon means is that Samsung's chip should make car infotainment systems a lot less laggy and a lot more capable. Samsung says that the chip will be able to power up to six displays and twelve cameras. 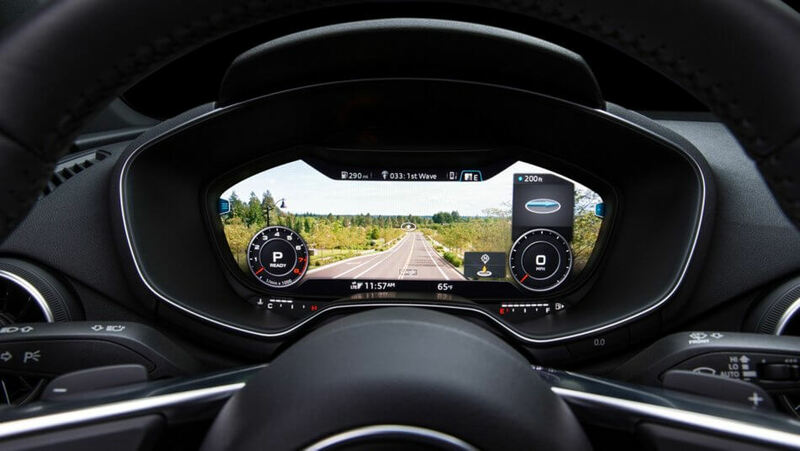 This means that the GPU could power the central display, the cockpit display, and rear-seat entertainment at the same time while simultaneously showing camera feeds from the side and rear views. In addition, the chip will enable premium audio features including HiFi 4 audio DSP (digital signal processing). Finally, the chip features a neural processing unit (NPU) to enable face, speech, and gesture recognition with a "safety island" to protect system operations. Obviously, Samsung isn't the only large tech company to partner with automotive companies to power their infotainment systems. Nvidia is also partnering with Mercedes to utilize their AI-powered infotainment system. Volkswagon and Ford use Blackberry's QNX platform while Panasonic's infotainment system is powered by Qualcomm. On top of that, Google has made large inroads with getting Android to be the dominant operating system powering infotainment systems. With CES starting next week, we'll likely see more announcements regarding the automotive industry, particularly autonomous cars and smart city infrastructure.